The cheapest category in the mein-zelt-steht-schon range! All classic tent offers consist of: > a double-skin tunnel tent with comfortable sleeping cabin > inner tent openings with mosquito net > with practical vestibule for the luggage Any charges for camping or parking are not included! For those who want to keep an eye on costs and still enjoy the festival in a relaxed way! Here you get a cosy accommodation with camping chairs for the appropriate number of people and with enough space for your luggage. All offers consist of: > a double-skin tunnel tent with comfortable sleeping cabin > inner tent openings with mosquito net > with practical vestibule for the luggage > AND: camping chairs to relax (load capacity up to 100 kg) Any charges for camping or parking are not part of our prices! In the mein-zelt-steht-schon camp, parking next to your tent is not possible, however, there is a parking area close to the reception. ***NOTE*** A €50 cash-deposit has to be paid upon arrival! All packages consist of: a double-skin tunnel tent with standing height and comfortable sleeping cabin, inner tent openings with mosquito net, with practical vestibule for sitting and your luggage, camping chairs to relax (load capacity up to 100 kg) AND: comfortable air beds. Any charges for camping or parking are not part of our prices! In the mein-zelt-steht-schon camp, parking next to your tent is not possible, however, there is a parking area close to the reception. ***NOTE*** A €50 cash-deposit has to be paid upon arrival! 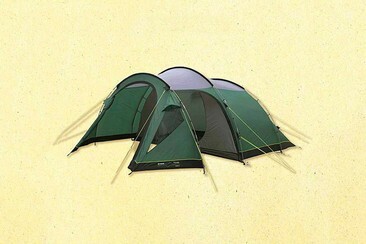 Do you want to sit relaxed in front of the tent? Then just order this package and keep the sun heat or the rain off. Take the following in addition to your rent: A large tarp, a stable camping table. 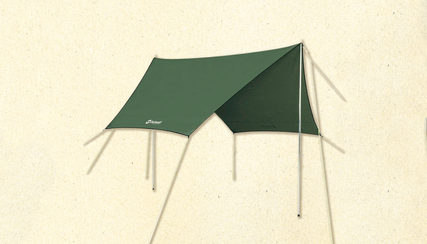 The accessory packages can be added to individual tent variants booked on Festicket. Inside and outside - everything is fine! This accessory package is for all those of you who not only like to sit in front of the tent but also want to sleep comfortably. And it all works without carrying because you get: a large tarp, a stable camping table for all of you (for 6-person tents a large table is provided), a nice LED lamp incl. 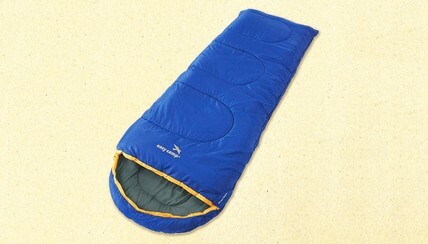 batteries, sleeping bags for all of you (you can take them home after the festival or they get donated). 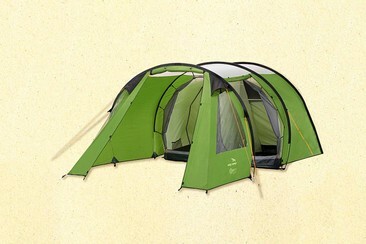 The accessory packages can be added to individual tent variants booked on Festicket. Airport Hostel is located 1 km from Hamburg Airport, 2 km from the Atelier Lichtzeichen art gallery, and 3 km from sprawling Stadtpark Hamburg. 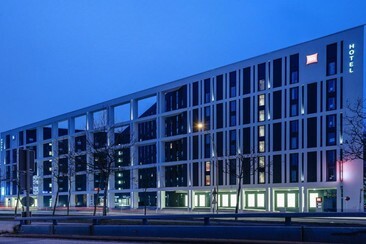 The hostel is 7 km from the CCH (Congress Center Hamburg) and from Hamburg Dammtor station. The rooms are equipped with bunk beds, double beds, wardrobe, lockers, and free Wi-Fi access. Each room or dormitory has a private bathroom with a shower, toilet and hairdryer. Bed linen is also provided. An airy lounge with colorful murals offers table tennis and foosball tables. A breakfast buffet is provided for a fee. This historic former warehouse is located in the heart of Hamburg, a 12-minute walk from Hamburg Central Station. It offers a shared games room, drinks bar and excellent public transport connections. 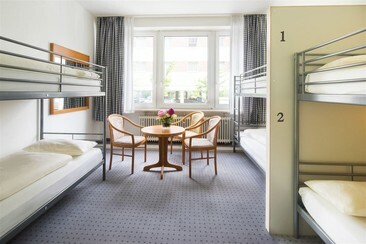 The A&O Hamburg Hauptbahnhof offers a wide choice of comfortably furnished accommodation, ranging from single rooms to shared dormitories. Some offer views of Inner Alster Lake. The shared lounge area has a billiard table, table football and computer game consoles. Wi-Fi is available in all rooms and public areas. A breakfast buffet is served each morning at the A&O Hamburg. Drinks are served at the Astra Bar. The popular Mönckebergstraße shopping street is 0.6miles from the A&O. Steinstraße Underground Station is a 5-minute walk away, offering connections across Hamburg. 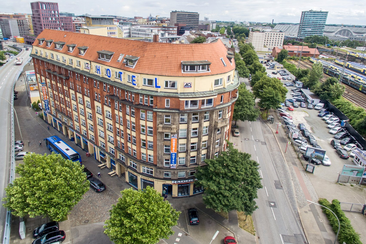 The Ibis budget hotel is conveniently located within 5 minutes walk of the Hamburg Central Train Station and Hamburg‘s Old Town, 1.3 km from the legendary Kunsthalle Hamburg art museum. The hotel has 196 rooms, decorated in a contemporary style. All rooms feature a desk, a flat-screen TV with satellite channels, air conditioning and a private bathroom. In the hotel's brightly coloured cafeteria, guests can enjoy a daily breakfast buffet. Vending machines offer drinks and snacks, and there is a lounge area, in which guests can sit and relax. 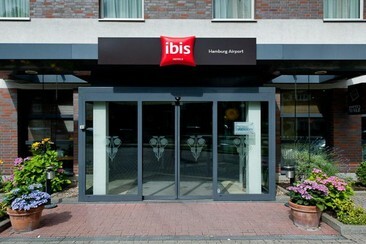 The ibis Hotel Hamburg Airport is conveniently located close to the airport. The city centre is just 30 minutes away by public transport. Ideal for those travelling by air and guests who prefer to visit the north of the Hanseatic city, the ibis Hamburg Airport is situated just a stone's throw from Hamburg Airport. All 157 soundproofed rooms are equipped with spacious, comfortable beds, adjustable air conditioning and WIFI. Guests can use the free WIFI 24/7 throughout the hotel and an online PC is free to use at any time. A healthy, varied breakfast is served from 04:00 until 12:00. The hotel’s air-conditioned Ibis Kitchen serves tasty treats and refreshing drinks around the clock. 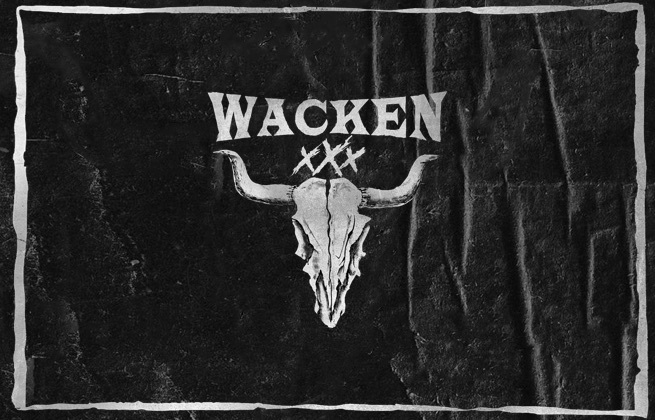 A return shuttle bus ticket from Hamburg to Wacken. The ticket is provided by Uplift B.V. Please note the shuttle will arrive daily at the festival at aproximately 15:00 (the festival opens at around 11:00am) and returns after the show daily. Viaje em total conforto até ao festival! Anote o horário e data de partida e encontre-se connosco para um fim de semana fantástico. Todas as crianças com menos de 16 anos devem estar acompanhadas por um adulto ou apresentar um comprovativo assinado pelos seus pais no ato do registo. A return trip by bus from Denmark. Get to the festival in comfort and on time! This service is provided by Festivalbussen. Please note: Customers need to make sure to be there 30 minute before the leaving time for the return. Supplier won't wait for customers. A return trip by bus from Sweden. Get to the festival in comfort and on time! This service is provided by Festivalbussen. Please note: Customers need to make sure to be there 30 minute before the leaving time for the return. Supplier won't wait for customers. A return trip by bus from Norway. Get to the festival in comfort and on time! This service is provided by Festivalbussen. Please note: Customers need to make sure to be there 30 minute before the leaving time for the return. Supplier won't wait for customers.